Listed below are the cast & creative team for the AEA approved showcase of THE WHALESHIP ESSEX, which played 12 performances at the Hudson Guild Theatre in March 2014. Scott Aiello (Hendricks) A Chicago transplant, Scott has been in dozens of productions with companies such as Steppenwolf, Chicago Shakespeare, The Marriott (Lincolnshire), Timeline theater, and Shattered Globe (where playwright Joe Forbrich is a founder). Most recently in NY, he appeared in BROKEN FENCES with Balybeg productions. TV credits include The Newsroom, Elementary, and Person of Interest. 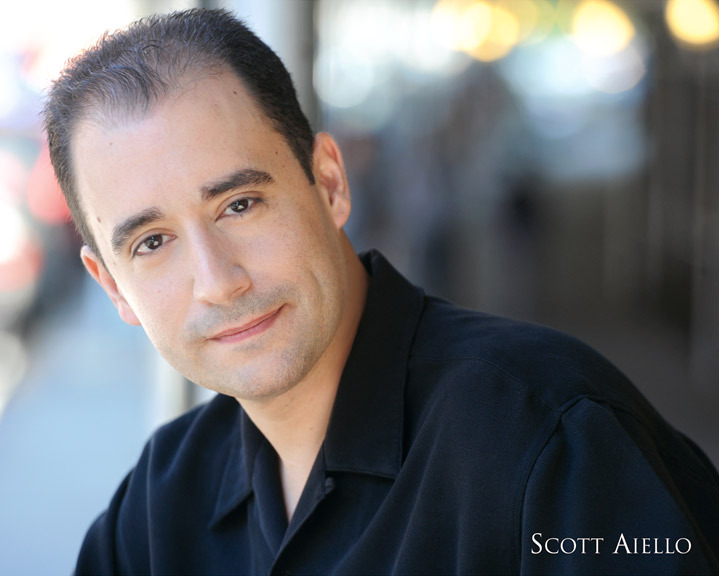 Scott has also narrated over forty audio books (2013 Audie nominee, Best Nonfiction Narration) and is a recent graduate of the Juilliard Drama division. Steve Dunayer (Isaac Cole) has appeared onstage in New York productions of Eric Bogosian’s SUBURBIA and David Mamet’s THE WATER ENGINE. Also regionally at The Vineyard Playhouse in A MIDSUMMER NIGHT’S DREAM and a Boston production of Peter Shaffer’s AMADEUS. A graduate of Boston University’s School of Theatre, Steve continued his training in New York at Michael Imperioli’s Studio Dante. Most recently Steve produced and directed his first short film The Accident written by Ronan Noone, staring Mary McCann and Andrew Rothenberg. Thanks to MJ, Pete, Joe, Jen. Love to Mom and my Jen. For Michael and Daniel. James Gary, Jr. (William Bond) played football for The Mountaineers and won the “Ideal Mountaineer” award at West Virginia University. He went on to accomplish his ultimate dream of playing professional football for the Seattle Seahawks. Life after football took him from the field to the stage; he guest starred as Marco Prince on the Showtime hit “Nurse Jackie,” as well as Guest- and Co-starred in “All My Children,” “Rescue Me,” “Law & Order,” “Ugly Betty,” “White Collar,” “NYC 22,” “House of Cards,” “How To Make It In America” and “The Michael J. Fox Show.” His latest film, playing Officer Jones in HappyThankYouMorePlease won the Audience award at Sundance in January 2010. You might recognize him from the Hellmann’s Mayo, JC Penny (Beware of the Doghouse), Starburst and Bank of America commercials. He feels so blessed to be a part of THE WHALESHIP ESSEX. He has performed in a number of plays, his favorite being a one-man show about Jack Johnson. Mary Beidler Gearen* (Wife/Nancy Coffin) is de- lighted to return to WE after the staged reading with old pals Tom Hanks and Joe Forbrich. She is the winner of two Chicago After Dark Awards for performances in Bailiwick Repertory’s WUTHERING HEIGHTS and the new musical SON OF FIRE with Will Chase. She was proud to be a part of BEYOND BROKEBACK: THE IMPACT OF A FILM at the Auditorium Theater in Chicago. She has appeared in folk fests, commercial work, and indie films (Insalata Caprese is her favorite). Her direction of THE CHRISTMAS SCHOONER in Chicago garnered 5 Jeff Award nominations and her Los Angeles direction of BEFORE I DISAPPEAR with Alexandra Billings brought two ADA nominations. She has directed Off Broadway at The Producers Club, and in Minneapolis at MU Performing Arts, History Theater’s Raw Stages, and Bryant Lake Bowl. Mary serves on the boards of Theater Latte Da, University of St. Thomas’ College of Arts and Sciences, and the TPAC in Door County, WI. Mary is a member of AEA and holds an MA in Theater History Literature and Criticism from Ohio State, and an MFA in Performance from UC/CCM. She is a proud mom of Molly and wife of Jim. Tim Hackney (Charles Ramsdell) is thrilled to be a part of THE WHALESHIP ESSEX. A proud graduate of the William Esper Studio two year program. Favorites include SURVIVED BY (Columbia Playwright MFA Showcase), DISTANCE FROM HERE (Darrell), THE CIDER HOUSE RULES (Homer Wells) and BIG LOVE (Nikos). Thanks to Joe, Jen, Peter, Judy Bowman and of course Lindsay. James Rees (George Pollard, Jr) is thrilled to be playing the role he has read for two years! Off Broadway: MEASURE FOR MEASURE (NYSF); NYC: HENRY V (Well Theater); Regional: MAN FOR ALL SEASONS (Virginia Shakespeare Festival), AMADEUS (Richmond Shakes); TV: “The Knick,” “Team Toon.” Thanks to my amazing supportive wife and family. Rob Karma Robinson* (Lawson Thomas) is a Brooklyn/Houston native. He received his BFA from the University of Evansville and MFA from the now closed (super sad face) National Theatre Conservatory in Denver. He was most recently seen in the new play KANSAS CITY SWING at Crossroads Theater in New Jersey. Credits include THE BLOWIN OF BAILE GALL by Boston playwright Ronan Noone at The Vineyard Playhouse on Martha’s Vineyard, the world premiere of EXPEDITION SIX (written/dir. Bill Pullman) at the Kennedy Center, and two off-off Broadway premieres, PROMISED TOMORROW TODAY and HA! HA! by Lawrence Dial of the Labrats (Downtown Urban Theater Festival). He also played Tom Robinson in MRT’s national tour of TO KILL A MOCKINGBIRD for the novel’s 50th anniversary. Rob has a bevy of work with up-and-coming theater companies Amios and Red Shirt Entertainment, a subsidiary of Walhberg entertainment group. He is glad to be working to live rather than living to work, as so many are in these trying days! One love. Peter Stray* (Thomas Chappel) Film/TV include: “Lost” (ABC), “Deadly Honeymoon” (Lifetime), “Mystery Of Matter” (PBS). Theatre includes: Tennessee Williams in ORIGINAL ACTS, Michael Wells in TWO ROOMS, Benedick in MUCH ADO ABOUT NOTHING (Vineyard Playhouse), Valentine in ARCADIA (Folger Theatre), Hugh in TRICKS OF YOUTH (Globe, London), Southampton in THE ENGLISH CHANNEL (The Beckett Theatre, dir Robert Brustein), Mardian in ANTONY & CLEOPATRA, Cinna The Poet in JULIUS CEASAR (Shakespeare Theatre), Antipholus of Ephesus /Syracuse in COMEDY OF ERRORS (Rosemary Branch Theatre, London-Time Out Critic’s Choice). His acclaimed series “Secludio” is on Vimeo now. Training: Central School Of Speech & Drama, London. Dedicated to his Quaker grandmother Margaret Stray, who passed away during rehearsals. Ben Vigus (Matthew Joy) New York: ABOUT A WOMAN NAMED SARAH by Lucas Hnath (59E59), The Mad Ones› UNTITLED BIOPIC PROJECT (Ice Factory), SOMETHING BLUE FESTIVAL (Columbia MFA Playwriting). Ben was a 2012-2013 Apprentice at Actors Theatre of Louisville where he appeared in ROMEO AND JULIET, A CHRISTMAS STORY, A CHRISTMAS CAROL, 27 WAYS I DIDN’T SAY HI TO LAURENCE FISHBURN, and SLEEP ROCK THY BRAIN. He also makes original plays with his company MONTANA, and has workshopped new pieces at Dixon Place, IRT, and New York Theatre Workshop. BA Wesleyan University. Ben is from Seattle. Blaze Mancillas* (Understudy, Able Seaman) Born and raised in the San Francisco Bay Area. Recent theater: Malcom in MACBETH (CSC), Claudio in MUCH ADO ABOUT NOTHING (CSC), WHAT THE SPARROW SAID (Theater for the New City), Egeus in MEDEA (Drew University), Lysander in A MIDSUMMER NIGHT’S DREAM (Folkwang University). TV: Officer Arroyo Jr. on GOLDEN BOY (CBS) MFA Columbia University. Stoked to be aboard THE WHALESHIP ESSEX. Peter Zinn (Director) Off-Broadway: RUMSPRINGA (The Bleecker Street Theater), THE RUNNER STUBLES (The Arclight Theatre). Other New York directing credits include HOLY DAYS, BENEFACTORS (2011 NYIT Award nomination for Outstanding Production), SO LONG LIVES THIS (American Globe Theatre), REIKE ON THE PLAINS, ALWAYS, OVERNIGHT and IT’S TIME (HB Playwrights Theatre). Also, SMILE: A COUNTRY ROCK MUSICAL at The Deane Center in Wellsboro, PA. He serves as artistic director for the Bleecker Company new play series which has included performances by Anne Meara, Rosie Perez, Mario Cantone, Ralph Macchio, Chip Zien, and others. As an actor, he's performed with Steppenwolf Theatre, The Goodman Theater, The Geffen Theater, The Milwaukee Rep, and The Central School of Speech and Drama. 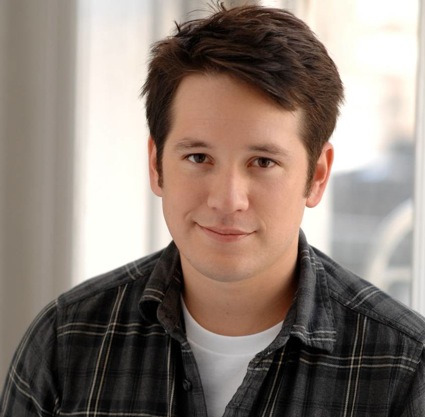 Joe Forbrich (Playwright) appeared most recently on the stage in LUCKY GUY on Broadway, and in ALL’S WELL THAT ENDS WELL and MEASURE FOR MEASURE at New York Shakespeare Festival. His TV work includes “Elementary,” “Unforgettable,” “White Collar,” “30 Rock,” “Blue Bloods,” “Law & Order;” and he can be seen on film in Freedomland, We Own The Night, My Own Love Song, and in the upcoming films The Red Robin and Hypothetically (directed by Peter Zinn). As an actor, writer, set designer, sailor and boatbuilder, Joe has combined his passion for the common language of both the nautical and the theatrical worlds to create THE WHALESHIP ESSEX. Ricardo Rust (Movement/Music Direction/Fight Captain) studied classical piano and voice while growing up in South Africa and continued studies in Musical Theatre at New World School of the Arts in Miami, FL. He is the recipient of the 2008 National Actors’ Equity Roger Sturtevant Musical Theater Award. National credits include: SMILE: a Country- Rock Musical (Vocal Arranger/Music Supervisor/ Choreographer), EVIL DEAD: THE MUSICAL (National West Coast Premiere; Choreographer/AD), CHAINSAW: THE MUSICAL (Original Workshop, World Premiere; Choreographer), RENT: School Edition (World Premiere; Choreographer), UPON MY WORD (New York Premiere; Director/ Choreographer) and AVENUE Q (National Regional Premiere, Choreographer). Sara J. Grady* (Production Stage Manager) Upcoming: OF MICE AND MEN (Longacre Theatre); Broadway: LUCKY GUY. Off-Broadway and Tours: FUN HOME (The Public Theater), IRVING BERLIN’S WHITE CHRISTMAS National Tour, CANON IN D MINOR (New York International Fringe Festival), GIOVANNI THE FEARLESS (Symphony Space). Labs and readings: THE WHALESHIP ESSEX, HANDLE WITH CARE; STORMY WEATHER; MOTOWN: THE MUSICAL; HOLLER IF YA HEAR ME. Graduate of Rutgers University Mason Gross School of the Arts. Alix Martin (Prop Design) loves discovering props. So far, it is the best use of a liberal arts education that she has found. She is profoundly grateful to her parents for sharing their fondness for adhesives, cardboard and words. She is pleased to have this opportunity to work with others who truly enjoy their craft. Judy Bowman, C.S.A. (Casting) Judy has been casting in New York City since 1993. Upcoming projects include: ROMEO & JULIET (New Book Press/iPad), SEMINAR (SF Playhouse), & DONOGOO (Mint Theater Company). Recent film casting includes: DYNAMITE: A CAUTIONARY TALE, COPENHAGEN (Slamdance Audience Award), DRAWING HOME, TIGER LILY ROAD, THE WORD, & THE IMMACULATE RECEPTION (Sundance Film Festival). Casting on Broadway and off, she currently casts for the Mint Theater Company, LAByrinth Theater Company, Partial Comfort, At Hand, Project Y, and has had past collaborations with Rattlestick & A.R.T. Regional work includes Humana Festival, San Francisco Playhouse, Kitchen Theatre, & Dorset Theatre Festival. Adjunct Asst. Professor at Columbia University Film School’s MFA program, and former faculty for Harlem School of the Arts. The Working Waterfront, LLC (Producer) is led by Jennifer Valentine, who as an actress has performed regionally in theatres in New York, Massachusetts, Texas, Florida and California as “the woman” in GROUCHO: A LIFE IN REVUE with Gabe Kaplan. She was a proud member of The Village Theater Project in Boston (appearing in the new play BETTER OFF DEAD by Shawn Sturnick) and worked with Boston’s Publick Theatre (MEASURE FOR MEASURE, RICHARD III, LOVE’S LABOURS LOST and more), Lyric Stage Company of Boston (COMEDY OF ERRORS, IT’S ALL TRUE) and Wheelock Family Theatre (FIDDLER ON THE ROOF, KISS ME, KATE). She decided to combine her theatre background with her fifteen years of experience as a meeting/event planner to help bring Joe Forbrich’s beautiful play to life. Karen Bukolt (Associate Producer) is an actor and producer who has worked in San Francisco, Los Angeles, and New York in theater, TV and film. Favorite acting credits include ONE FLEW OVER THE CUCKOO’S NEST (Nurse Ratched), OVER THE TAVERN (Ellen), A COUPLA WHITE CHICKS SITTING AROUND TALKING (Maude Mix), BEDROOM FARCE (Jan) and SLAM! BAM! THANK YOU MA’AM (Straya) for theater; Scars, Pact and Did we Ever Pick Up Those Pictures? for film; and “Redrum” and “Passions” for TV. She has produced numerous film productions with Roulette Films and independent play productions. Karen is thrilled by the opportunity to be a part of the amazing ensemble of THE WHALESHIP ESSEX.